Food and travel writer Kirk Richardson is searching for the best craft beer breweries in North America. From the shores of Southern California to the ports of New England and everywhere in between, Kirk brings together exceptional craft beers and stories from the unique characters who make them. Pull up a chair, pour yourself a pint, and relax: you’re in Craft Beer Country. For the first leg of his four-region trek, Kirk travels from sunny Maui, Hawaii to chilly Juneau, Alaska, in search of palate-pleasing ales and lagers and camaraderie with some of the best minds in craft brewing. 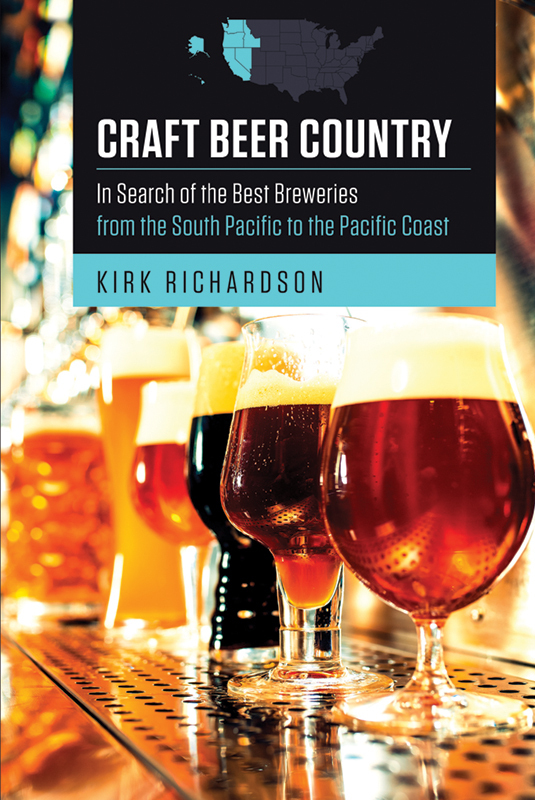 Whether you just love a good pint from time to time or you are a bona fide beer connoisseur, Craft Beer Country: In Search of the Best Breweries from the South Pacific to the Pacific Coast is your tasting guide to the region.